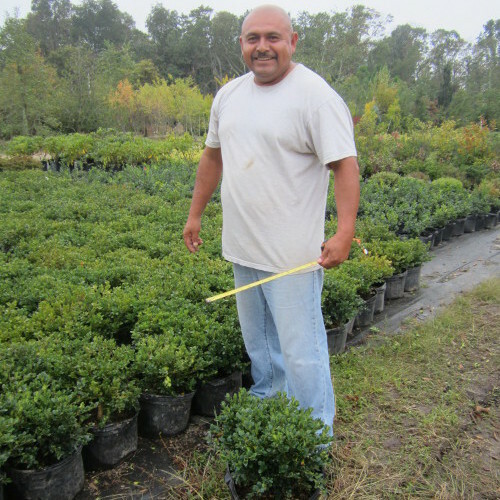 At County Line Nurseries, we believe in providing you with value added nursery stock. Through a multi-pronged approach, we work to ensure that all parties involved are successful and therefore profitable. What is Value Added Nursery Stock? Value Added Nursery Stock (VANS) refers to hardy, healthy, vigorous plants with a high vitality not always apparent from the outside. Survival rate tells the story. When your plants thrive, you thrive and consequently, we all thrive. All employees here have at least 10 years of experience, most have 10-20. 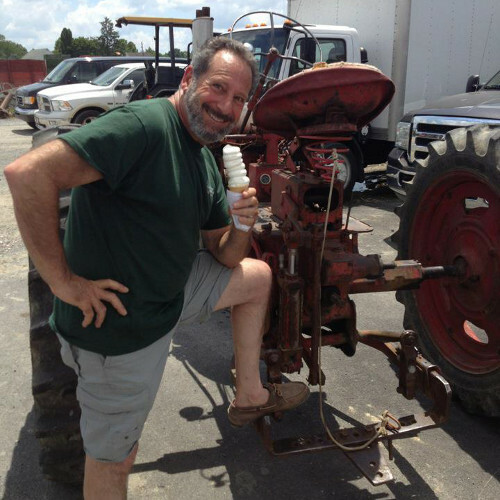 Our president, Jules Perlstein has over 40 years of experience. We know how to grow, dig, handle, and load your trees and shrubs with precision and accuracy that only decades of experience can allow. Many of our trees are root pruned or transplanted prior to being sold. Root pruning slows the growth of the plant, but affords you plants with higher survivability rates because the result of this process enables plants to have more roots in the ball zone. Because of this, the plants usually transplant with little to no shock and most often do not even know they have moved. Our goal is to help you fine tune your plan and provide you with the most appropriate plant material for each job. We make sure the finest specimens are supplied for focal points. We can also aid you in being more competitive by suggesting commercial grade material for less conspicuous areas of your project. If you are on a tighter budget, commercial grade plants are a great consideration as they are just as healthy and vigorous as a specimen plant but are discounted generously due to asymmetrical form. We maintain a fully irrigated 20 stockyard. Here, we store thousands of trees and shrubs that are spring dug on speculation for summer sales and jobs. We fill the stockyard primarily with those plants that cannot be dug in the summer or fall (such as Dogwoods, Birch, and Oaks) and otherwise would not be available for your summer projects. We can summer dig “safe” species like maples with higher success rates because we maintain high fertility rates and irrigate regularly so trees are not stressed in the summer. We can slow dig by hand and drum lace balls which can weigh up to 50 tons. We have an extensive collection of high quality specialty plant material in specimen sizes. Traditionally, these plants would have to be purchased on the west coast which causes potential climate acclimation issues among other problems. By growing this plant material in New Jersey, we are able to offer them at more competitive prices with a higher rate of survivability. We continue to work hard on a daily basis to ensure you are getting the most valuable plant material for each job at the most competitive price. In addition to VANS, we also pride ourselves in our Value Added Service including brokerage service, which offers one stop shopping for our customers. We welcome all our customers to come tour our nursery and see for yourselves the high quality material we grow. We even encourage you to bring your clients so they can tag specific plant material you would like for a job guaranteeing 100% customer satisfaction at no extra charge. As always, discretion is paramount and our prices will never be shared with your clients as we even have password protected prices on our website. We hope to see you soon at our nursery and as always hope to give you a value added experience. After completing his Ornamental Horticulture degree at Delaware Valley College, Jules decided to teach Ornamental Horticulture for 5 years while working on his Master’s degree at Rutger’s University. He then transferred his book smarts to field smarts and began his lifelong journey in the nursery industry in the very town he was born. His dedication and passion has caused CLN to be a leader in the field of quality plant material for over 35 years. Pedro has been a crucial part of Jules' agricultural endeavors even before County Line was incorporated in 1988. Pedro's experience, knowledge, and ability to think on his feet ensures that you are always getting the best products for each job at the best price. Abby understands the importance of quality material and customer service and is committed to working with our customers to make them the most competitive in the field. Abby graduated from Virginia Tech with a Bachelor of Architecture and is a Registered Architect in the State of New Jersey and a LEED AP. Abby has an eye for design and construction industry experience, making her a valuable asset to our team and yours. 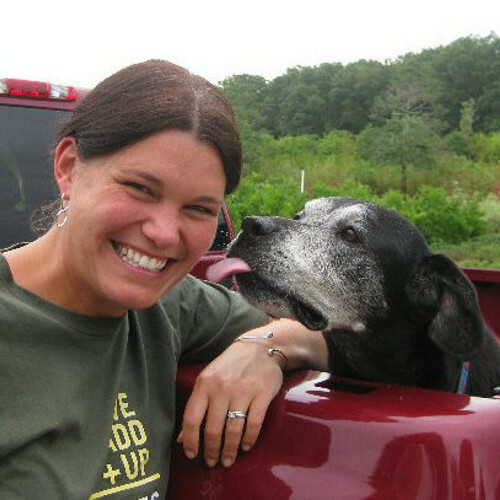 Janice follwed in her father's agricultural footsteps and graduated with a degree in Plant Science from Cornell University. 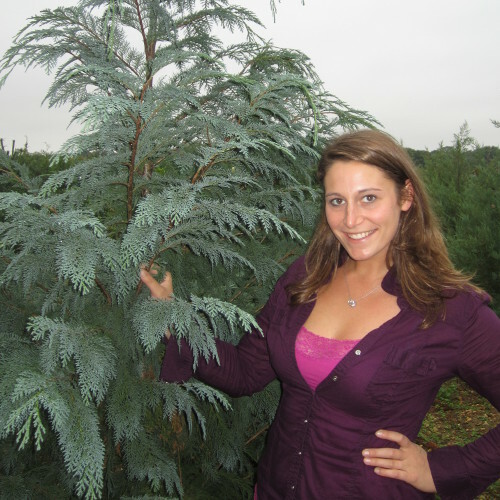 She is well versed in the nursery industry which enables her to broker plants from all over the country to complete your lists at a competitive price. She manages several close relationships with perennial growers ensuring our high quality standards on all sourced materials. She also has a not-so-secret passion for wine and one day hopes to plant a few vines recreationally in CLN fields. As a retired school teacher, Betsy joined her husband in 2005 in order to help him grow the business in the office. She currently takes care of all billing and Nursery Product Supply business so any inquiries referencing either of these matters can be taken to her. 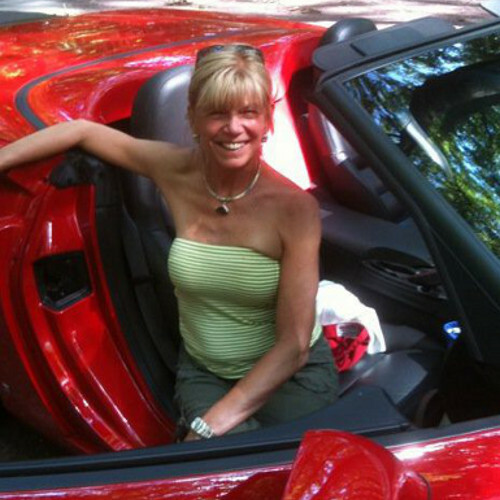 She is a passionate reader and loves to be Jules' partner in business, on the motorcycle, and in life. Elyse is our newest addition to the County Line team. Her professionalism and ability to multitask will certainly leave you with a pleasant CLN experience every time. She is the first level of contact for all inquiries and she loves to help direct your questions or requests.